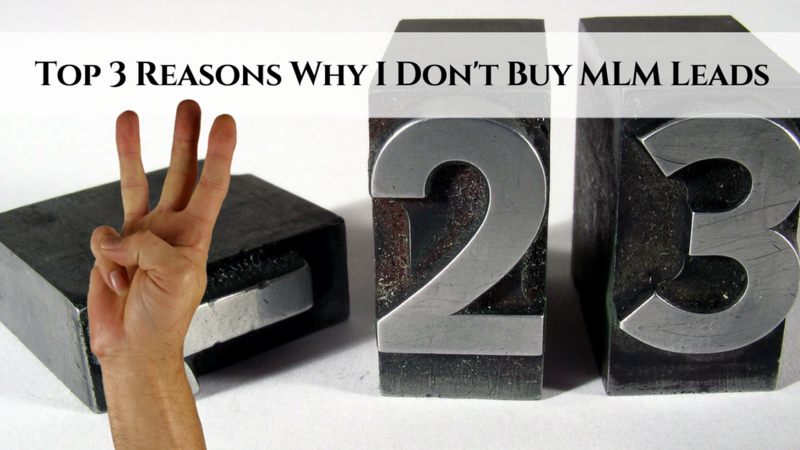 UPDATED: This post about why I don't buy mlm leads was updated to reflect new information, more examples and current stats. I was talking with some of my friends in the industry the other day and this topic of 'whether or not you should buy mlm leads' came up. I took some time to personally explain to them my position when it comes to buying leads for your network marketing company. And why I PERSONALLY avoid buying them like the plague. 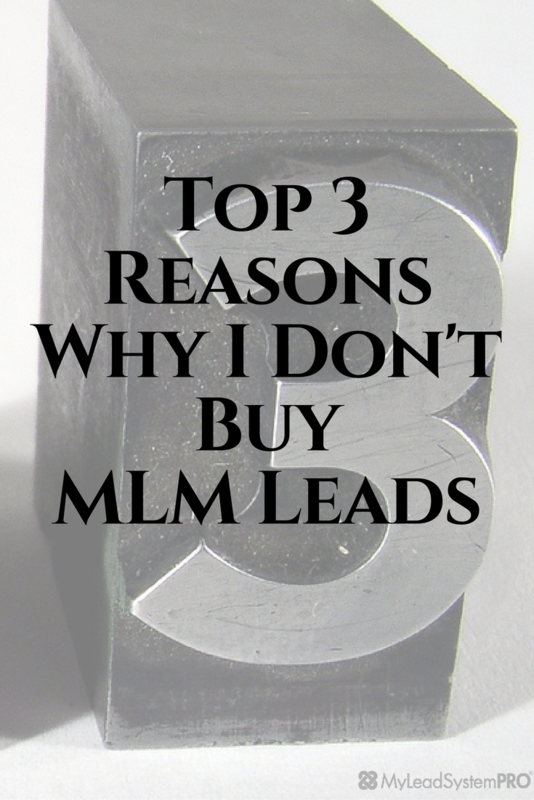 While there are many reasons why I don’t buy network marketing leads to build my business, I’m going to go ahead and give you my top 3 reasons why NOT to buy mlm leads. In my experience, one of the biggest reasons why you don't want to buy MLM leads (especially in todays market where you have access to tools and marketing strategies like Facebook Messenger, manychat, blogging, etc.) is because they are aged. What I mean is that the mlm lead companies that you are purchasing them from (usually in some kind of bulk package) accumulate these leads for weeks or months before they are available to you. So many of the leads you are getting, had opted in to an offer 30 days, 90 days, sometimes even longer... prior to you getting access to them. This is when I began to realize that even the leads that were positioned as real-time mlm leads were in fact aged. Speaking to old leads doesn’t interest me. I’d much rather be speaking to leads I generated, and KNOW they are real-time! I get much much better results. The majority of them had the job-mentality. They were just kind of poking around, and maybe clicked on an ad or something of that nature, but were nowhere near where I needed them to be. The most common responses I would get when I reached out to them? It was one excuse after another. Then, when I DID ask them if they would be interested in some kind of home-based business, I would get even more excuses. They didn’t have the passion or the will to even start a home-based business. They were non-entrepreneurial types of folks. Not that there is anything wrong with that, but they were certainly not my target market. One final, but just as important, reason why I don’t buy MLM leads is because 95% of the people you will talk to are broke. This, again, is coming from experience. Some would even get nasty with you! Many would wonder ‘how did you even get my number! ?’ They’ll start cursing you out… say they never requested information… they don’t want a home-based business… they weren’t looking for a home based business. I can all but guarantee you, at least from my experience, you will get ALL kinds of broke, job-minded people just straight out hanging up the phone on you. Again, there is nothing wrong with job-minded people. But these people are NOT my target market! So I would basically just be wasting my time even dialing their numbers. The stats these days between Inbound and Outbound Marketing are rather staggering. Marketing has evolved over the years. Especially with the advent of social media and content marketing, people no longer rely on advertisements (or 'outbound marketing') to learn about new products, services or opportunities. The new marketing communication (or 'inbound marketing') has become a two-way dialogue and much of this is facilitated by social media. Lisa relies heavily on social media, blogging and other outlets to generate leads rather than buying MLM leads. And viewing the infographic below, it's no wonder why. She implements a strategy known as attraction marketing, and it can work like magic for you and your business when you learn and implement this strategy yourself. The infographic below does a really great job of illustrating the differences between both inbound and outbound marketing, and why attraction marketing is the way to go! Ok, so I don’t buy MLM Leads. What Do I do instead? I’m glad you asked! (Or I’m just going to assume that’s the question going on in your head right now) This one has an easy answer. Generate your OWN leads through Social Media, blogging and youtube! This is EXACTLY what I did. It’s EXACTLY what I did to be able to sponsor over 220 people in the past 7 months - for FREE with NO paid ads. Now, of course, if you have a paid advertising budget you can down your time on lead generation quite a bit. But when I first got started, I didn’t. So my strategies at the time were free, but you could absolutely run paid advertising from things like Facebook ads and messenger marketing, to youtube ads if you like video marketing. The reason why I LOVE generating my own leads is because I can position my content DIRECTLY in front of my audience and target market. I can position my stuff right in front of the people that are LOOKING for what I have to offer and are ready to take action. Now that you watched the video, you know the top 3 reasons why I don’t buy network marketing leads to build my business. As I explain in the video: In my experience, buying MLM leads is a frustrating process that leads you nowhere. 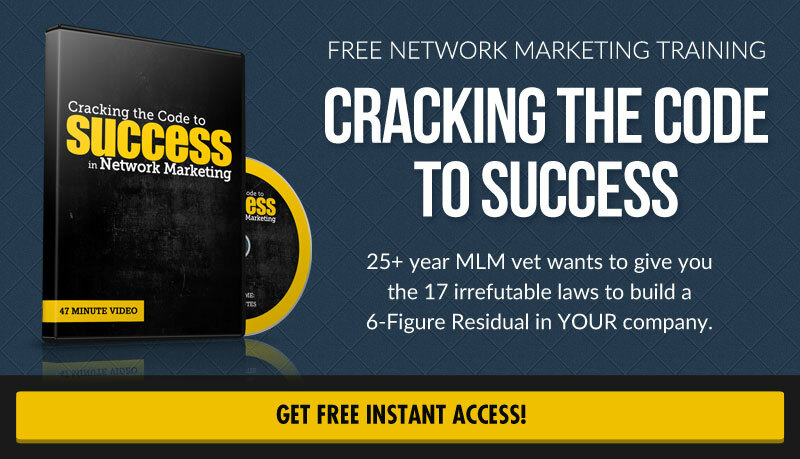 I also shared what I do exactly to generate my network marketing leads to build my business. It is a pretty simple process that will get you and your business in front the audience that is looking for what you have to offer. Before you go and buy those MLM leads that sound SO good... you should see this first! I have found that leads gained from exhibits/conferences may net poor results. The people who sign up for more info might just be in the “gathering info phase” of the buying cycle or they don’t remember signing up requesting more info. I think a fast follow up within hours of a conference ending or even during the conference can help or a slow drip campaign just after end of conference. My tip is “don’t let your leads forget who you are, and stay in front of them with useful information that will benefit them and add to your credibility and brand you as an authority in your market. Have content written and ready to fire off to your leads and let the buying relationship nurture. Precious information so to speak. Very educative and to be precise, inspirational. Got it just at the right tyme. I thank MLSP for this awesome advice. Thanks Torress .